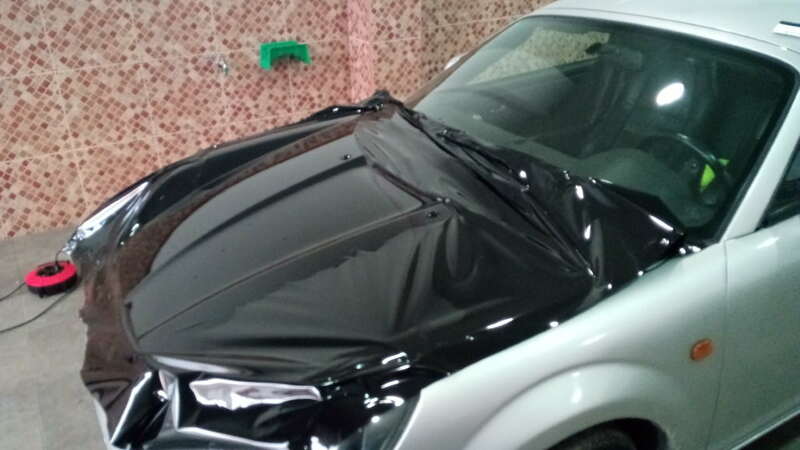 Spray the lower bit of the car black and the thing will not be visible. Unlike the various spoilers on the rear lid. ´Spoilers´as in ruining the shape too. Hats off to your mum for driving an MR! Lóve that!! 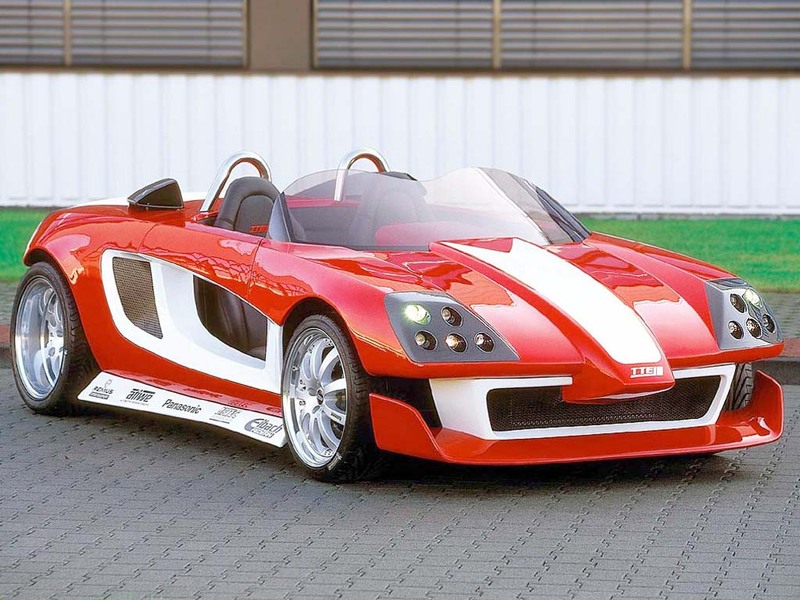 a concept car heavily based on the MR2 mk3 by Toyota Team Europe and shown at the Essen show 2002. Got an MR2 on the drive. Now in a coffee break from shoveling/moving gravel. Doing some 8k kilos today and will ask to have another such load dumped in the afternoon to shovel tomorrow morning with my son. That should hopefully fill the tracks sufficiently. The mountain misses will help too; compact the gravel with her 4x4 going to and fro the village. So it is on the drive and maybe tomorrow under the car porch. We worked till dark and I could move the car under the car park last night already! Phew, nearly there. About 40 meters to go. Then, as we have passed over it now various times, level where necessary; currently the belly panels brush the grass here and there. 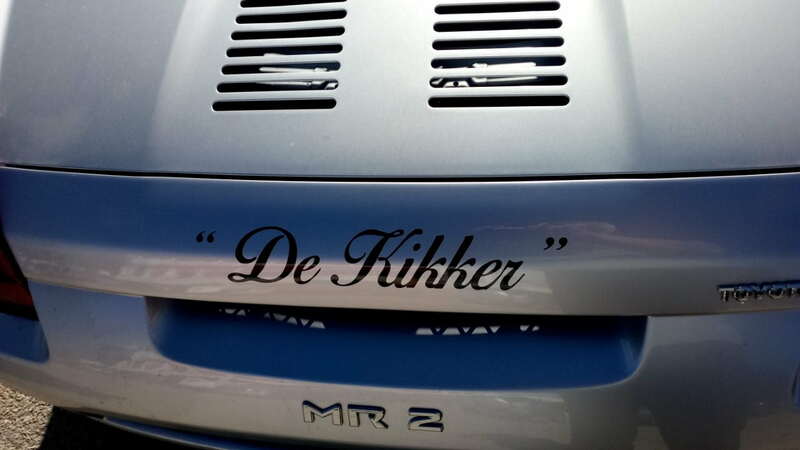 Made some progress in personalising the car too. 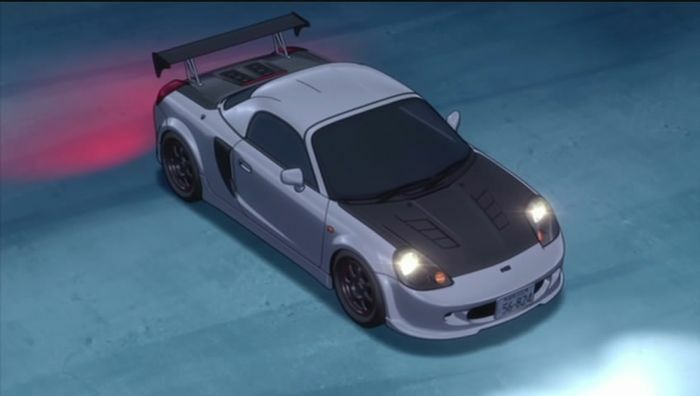 Kai Kogashiwa (Initial-D) drives a silvergrey W30 with black bonnet/trunk lid but my son thinks that sort of sacriledge for the two ralley cars. Better a red band somewhat inspired by the Porsche 550. A companion from the cycling club is setting up a print/vinyl shop in the village and he would lóve to take care of it. He matched the color to the bright red of the brake calipers. Am running about the car and it is a hoot. Can see me needing grippy tyres coming spring. The Yokohama Advan summer hoops come in the correct size!! Anyway, that is still a winter away. Last edited by Huertecilla; 13th November 2018 at 11:21. Several days with rain in the weather forecast so put the hard top on. Dropping the soft top is 30 seconds and fitting the hard one 2 minutes max. My son installed a diagnostics plug in the OBD2 port, paired to his mobile and he can real time monitor the motormangement data. The goal was DIY reading faults, rectifying and resetting but it comes with F1 like info for two tenners!! Sofar so good with the car. Done some 600 kms with it. Dry roads, wet roads, muddy roads, rough roads, all surprisingly well taken in the strides. The 140 horses are enough on mountain roads but Goodridge brake lines are under way. You know what this thread reminds me? Ah well, I´m sorry for you. 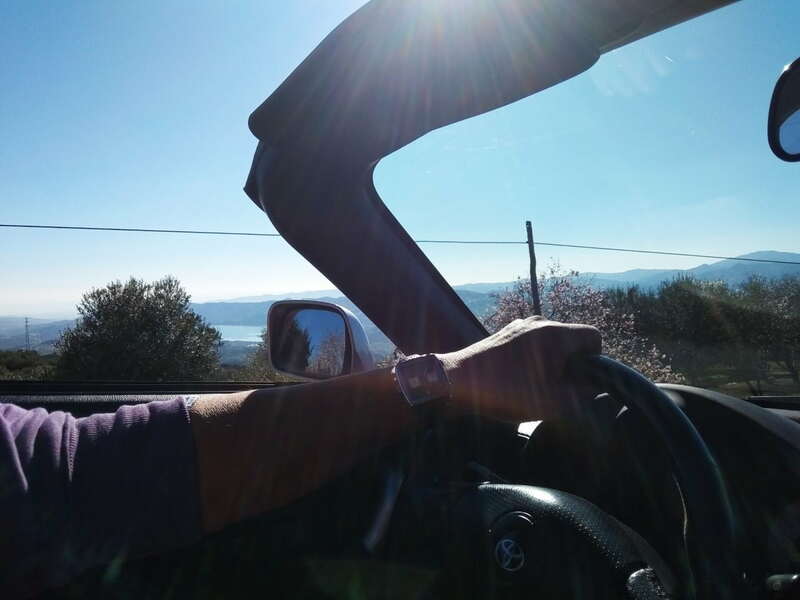 On this end it is fun being me, retired under the sun in drivers´ heaven and ´commuting´ there between loves in a car I can wring out without killing myself. Looking forward to getting the viny sorted next week with the cycling companion. Sadly it needs to be a color compromise. I would lóve to go all out with LOUD dayglo and a chrome hard top but that just gets you stopped by coppers. My son still doesn´t like the car one bit but at least he doesn´t point blank refuse to be picked up with it; he does want to be picked up after all. Looks like we have a spell of nice dry, milder weather next week, so maybe we can get round to the vinyl. 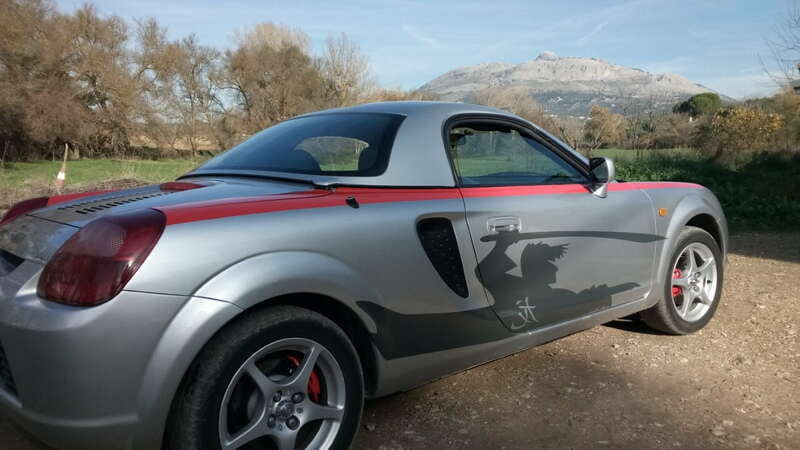 Spent a good part of the morning paintshopping a blown up MR2 ´screamin chicken´ to shade print in the black bonnet. I was rather pleased with the subtle print of the modernist design. Showed a test print to the resident c-company. She STRÓNGLY objected to the German/fascist look; OOOOOO. I had totally not thought of that, not seen it, but now it has been pointed out I agree. It most definitely ís not, but yes it cán be taken as such. Specially with the horrible VOX party profling itself over here and creating antagonism, that is definitely not a clever thing to plaster on the bonnet. Thanks girl for pointing it. Phew, at least it is not yet printed and wrapped over the hood. Just a black bonnet it is. Sigh. By Jove what a sticky business. Got too cold and had to stop. The bonnet is done though as is one side stripe. Changed the stripe design when the bonnet was done. After the sides stripes are done, the other ideas need be evaluated. Step by step as it is different on the car than in your head or on paper. I am knackered and chilled to the bone but I lóve it. are Goodrich brake lines and an exhaust header. The former´s funtion is obvious. Opted for the black rubber looking ones making it an ´invisible´ mod. The latter is supposed to give noticeably more torque/power but that is a non reason for me; it eliminates the pre-cat which should sériously reduce the under hood temp. Found headers which allow the original heat shield to be retained which should prevent any frown from the MoT inspectors. Been playing about with the thing on the industrial estate just up the road. It is mostly not developed/built up and has six small loops within two larger loops within one large loop. All on a slope so all corners can be taken upwards or downwards. On the low side the two larger loops hook up in the large one with a roundabout. The loops are not rectangular but angular so the corners are markedly less or more than right angled. All in all plenty of variety. 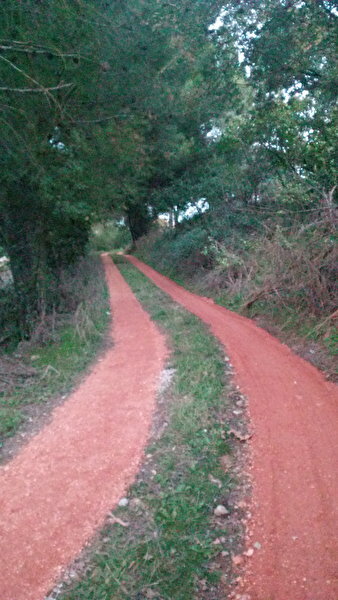 Oh and plenty of road paint too. 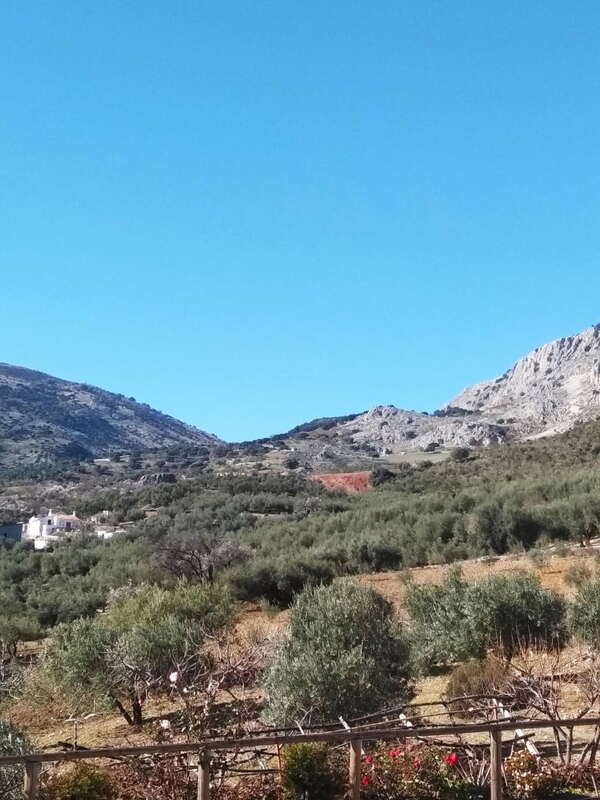 This week is wet again and tractors from the olive groves have put down mud, which makes a contrast to the dry cleanish tarmac of last week. Sofar I find the car nót on the quick side to swap ends. It is quite predictable and not at all that sudden when it oversteers. Takes me some getting used to, to not overcorrecting but it is very forgiving with that. The only thing I do find less easy is setting up a sideways on the handbrake nordic style. On the dry it is soso but on the wet it is a very small angle where you can hold it or loose it. 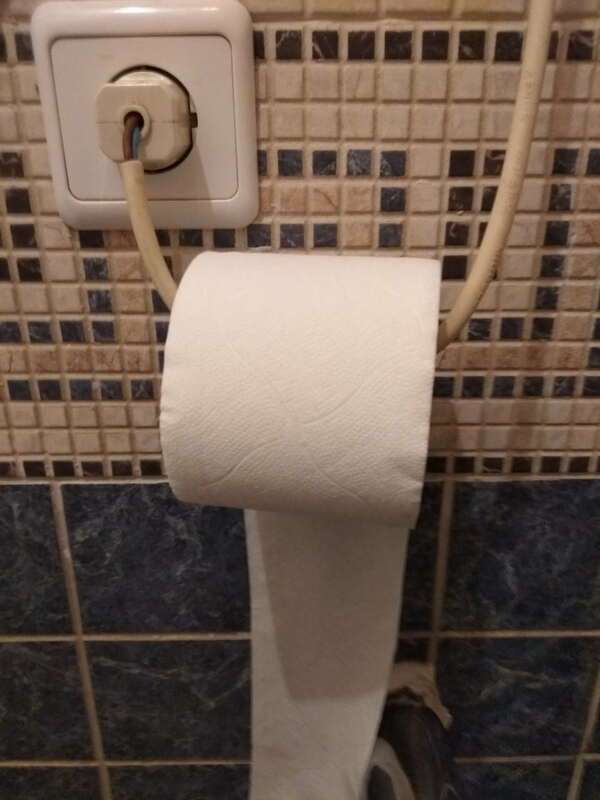 I will adjust the cables a bit tighter. Spun it only ónce tough. Have not spun it on oversteer. Yet. Did have some scares trying to figure out the understeer when going in too deep too fast either on or off the brakes. Put a whiff more air in up front and that was noticeable but I am still weary to go in too deep. If I´ve worn the present rubber out, I will go for wider 205s at the front. Bottom line is that it is more forgiving than I thought it would be and once it starts sliding, it hangs responsively on the throttle. Especially in the slippery wet it is a enjoyably forgiving surprise. Still think the exhaust should be a bit more audible but the upside of that is comfortable cruising. But most importantly; sliding it anywhichway you want on slippery wet makes you SMÍLE! Last edited by Huertecilla; 13th December 2018 at 21:37. One for all cars with a hot wire MAF sensor and some mileage on it. The hot wire gets dirty rather quick and even a still metallic looking goldish (dis)coloration changes the metering. I got a ´lean mixture´ fault on both sensor banks which means the issue is more likely in the admission not in the O2 probes. No appararent air leaks so, out with MAF. First some oven cleaner foam in the tube, wait five, then sprayed that away with electrical contact cleaner. Fault gone and a better running engine. Had it on the list for the gf´s Peugeot anyway as that sensor has most likely not been out in 60K kms. Something véry worthwhile just about anyone can do him/herself. Just have a look on youtube for ´MAF sensor brandXXX modelyyy´ if you do not know where to find it. Still faffing about with exhaust manifold. Or to be more precise, with the heat shields. A bit of a shame to hide the nice shiney rvs but it will eveade frowns from the ITV (MoT) inspector. Not a 50 or so mustangs more; not looking for a single one more really; I would be happy with the slightest noticeable extra low end/mid range smoothness. Biggest gain is the elimination of potential pre-cat issues. When this is sorted, hoping to do a modification to the MAF sensor and match that with larger capacity injectors. Again marginal gains; at best some Falabellas, mostly extra tractability. The OEM tune is for the relatively low octane US petrol, not making use of the ignition advance EURO 95 permits. Reminds me of my MR2/MX5 days when I was younger, both still hold a soft spot for me. Thanks for the memories. Just came back from some shopping at the Mercadona in Archidona. Went up secundary montain road with daylight, provincial 2-lane mountain road back in the dark. Bags behind the seats and between the legs of my son. I had great fun and he is such a responsible old fart: He said he got nauseous; if I would go less fast/deep into corners I would not have to brake so hard and if I would not accellerate that much/long, I would not go so deep/fast into corners. Mán, whó is the teenager here??!! Anyway, had the hard top in the garage so could hear the motor just that bit better. Quite like the sound as it is. Swapping the OEM muffler for something light may be a weighty issue but it is boúnd to be louder = more tiresome. The battery in the ralley DAF is a superlight LiFepo4. Not a lot of Ah. so a bit iffy for the MR but hey it is an easy for free swap! The LiFe is VÉRY much smaller there are some minor mods to the OEM clamp needed. I decided not to cut to size so I can revert to the lead-acid. LiFe-ly junior started the engine with at least as much gusto as (t)aciturn big brother. No fault messages, sofar so good. Proof of the pudding is in the daily use though. Nights are currently some 5 C. below zero. 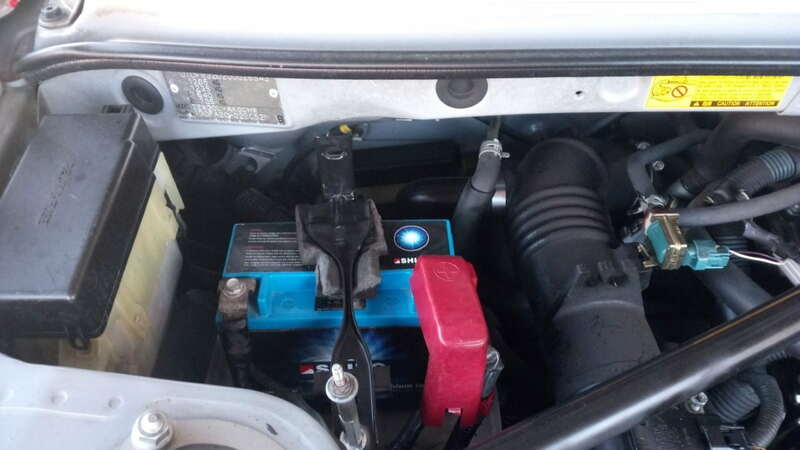 Standard lead-acid battery 12.6 kg. LiFePo4 from de rally car 0.8 kg. The combination of a bit more tractable bottom/midrange and 28.5 kilo weight loss is a minor thing ofcourse but noticeable. you could also go on a diet!! I have an old ZXR 750 in my garage that I’ve been storing for a mate for many years.... almost every fastener is titanium, including wheel spindles etc. He spent a fortune making this bike lighter, when he could have easily lost a stone in weight.. I agree that many a one could. Cheap too. That one would have to be morbidly obese though to loose the 50 kilos I intend the car to shed. Come Januar, after the festivities, I could probably shed 5 kilos but that is about it. Went down to the village early this morning to set up mountain loves market stall. - 5 and the minute battery started the car no problem. The laday left her station wagon at the stall to reserve her allotted space so I took her back up to the farm in the MR. The cccccóld el cheapy wubbah gave way big time and Wow! That is dangerously little grip; you need better tires indeed!´ so that is sorted too. 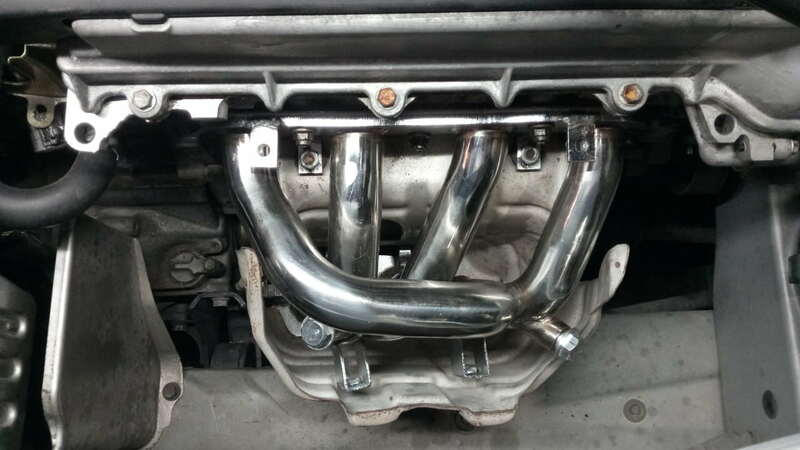 Did you consider heat wrapping the exhaust manifold?? Yes, but over here that is not the way to go for most of the year. 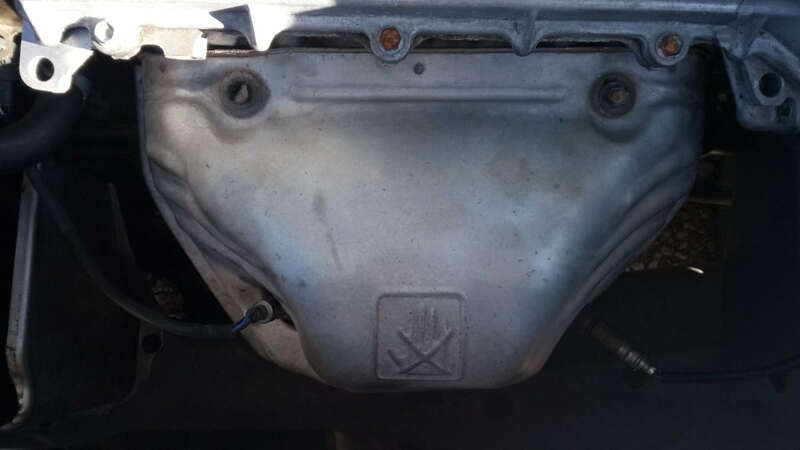 The heat shields will to some extend do the same with less of a summer heat issue ánd shield the engine block better. I had a red MR2 Mk1 over twenty years ago, and have always had a secret desire for a well sorted Mk3. Please do share fun experiences and if you have, photos!! There should not be a debate really. I know they were/are compared but the concepts are véry different. The only thing they have in common really is the price bracket. The one is a properly, modern Japanese engineered/built classic sports car, the other is a ditto race car concept. I totally agree with Toyota having concentrated on the essence of thát for the Mk.3 and not compromise it with ´practical´ luggage space and such. I bought C558 DUA in 2003 from the original owner who purchased the car new from Toyota Leeds in March 1986. It needed extensive welding around the B post where the door slam joins the sill, and the floors were rotten. I patched up the welding, and managed to get it MOT'd. I recall that it had high-lift cams and a Remus exhaust - it was useless below 4,000 rpm. I ran it for around 18 months, until the oil pump failed and it seized at around 89,000 miles.. I sold it as a project in December 2006, and checking the MOT history shows that it was MOT'd from Jan 2008-09. There is no online history since early 2009, so I assume that it has since been scrapped. You remind me that I have a box of spares and manuals somewhere in the loft - probably worth eBaying. I like it a lot that you checked up on your old car! You will find a wéalth of useful information there. 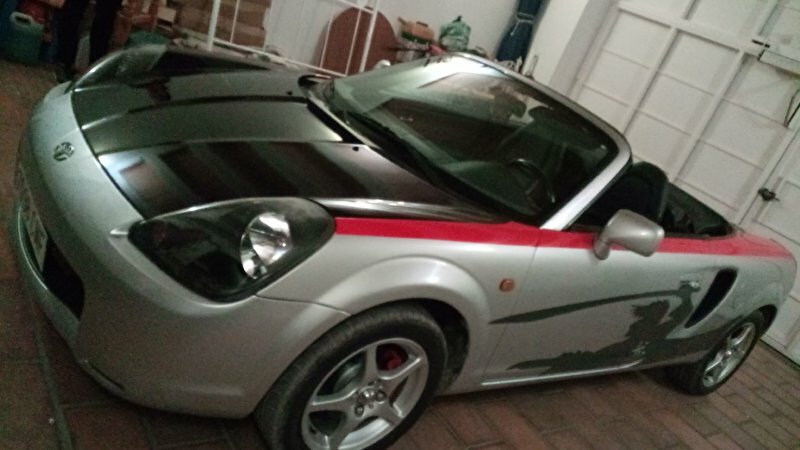 The car you will lóve. Lighter, more power, better roadholding, it is even more ´MR´ than the Mk.1 and the ´long´stroke engine makes it a doddle to drive. 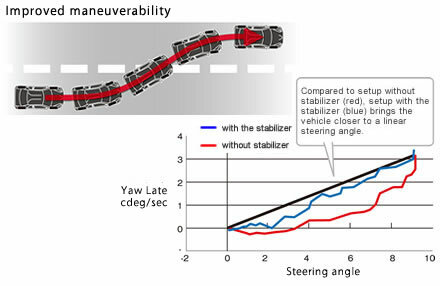 You will find the ´snap oversteer´ far from as snap as your old car; I find the initial understeer more of a challenge. Post face lift Toyota made it even less snap, more initial understeer; more instinctive. I réally suggest you have a spin in one with smt as well. Imo it has a serious added cool factor ánd is a ditto step up on the road. Trying to source an OEM muffler to use for the superbike pipe idea. Would be rather neat if I could loose say 8 kilos or so behínd the rear axle. That would be noticeable indeed. Wishing you luck with the research!! Cheery sunny weather here. Effing ccccóld in the morning but the car starts briskly and halfway the morning it has warmed up enough to fold the hood down. Looks like I will not be doing long with the current intheory harder wearing rubbers; I am tearing them up despite running them with a tenth more in than spec. Will not be doing the MAF mod fooling the ecu into advancing the ignition. Fooling the ecu will also affect the smt. Looks like I will be able to do the ´add lightness´ experiment with the superbike muffler without cutting my own OEM one up. 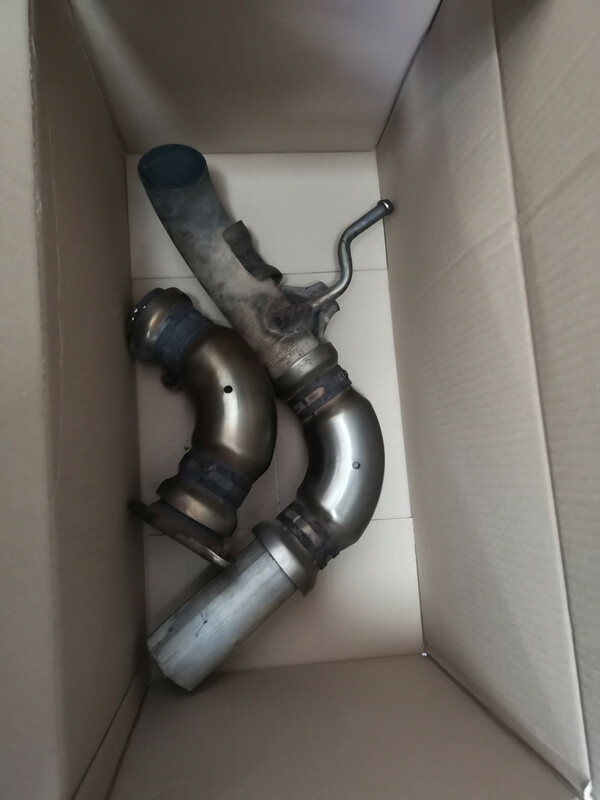 There seem to be plenty of OEM mufflers lying about unused! Am looking véry much forward to try this. 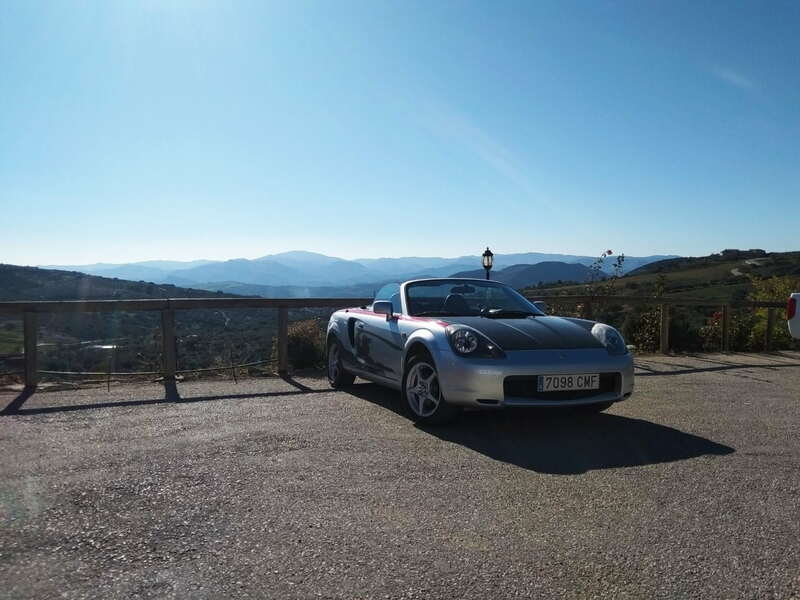 First of Januar 2019; wónderful weather, out for a spin through the mountains during the extended lunch ´hour´ over here. Been out at the coast all weekend with the 5 doors, so Monday being a very quiet bank-holliday and absolutely gorgeous weather, took out De Kikker. Took the resident female along; she ásked!!! Decided on a lovely route with as many flowering almond trees as possible, seesawing between sea level and 1100 meters, crossing half dozen mountain passes. Stopped twice. 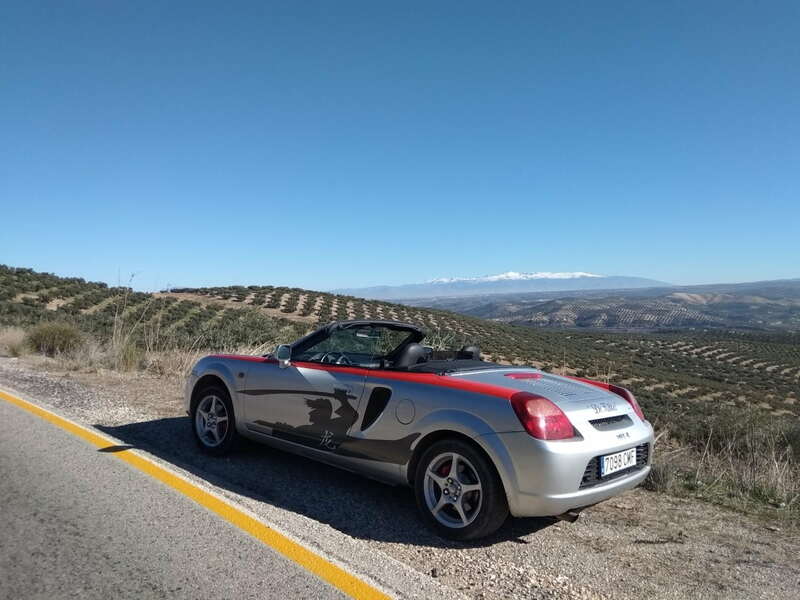 Once for coffee and petrol, once for a home cooked mountain plate for two; chorizo, lomo, morcilla, patatas fritas, pimientos, pan, drinks & olives; 13,80 € and stunning view in the sun for free. Having owned a MR2 in the UK i can see what fun you could have on those roads. 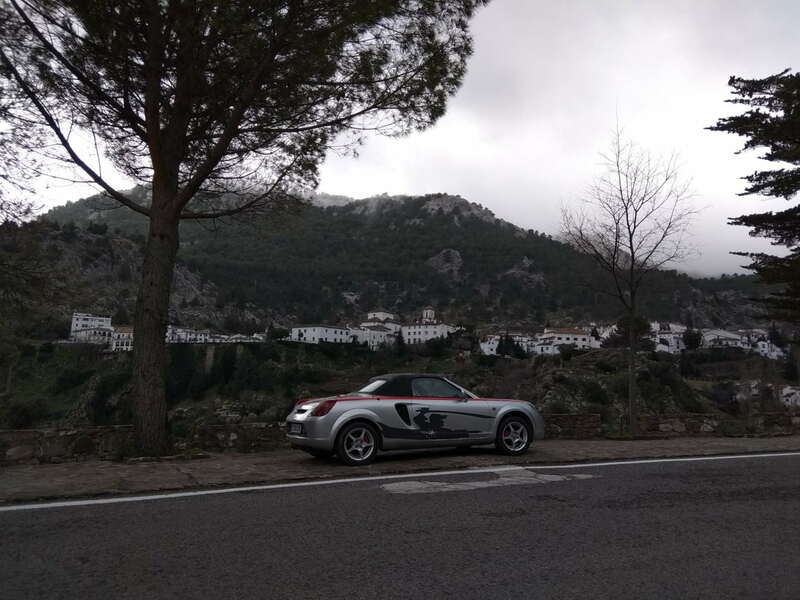 Was out in Spain over Christmas and on returning from Cordoba to Malaga went via Iznajar along A331 and A333 and although only in a rented Seat Ibiza it was a lovely drive. From Lake Iznajar south, the climb from the dam is só much fun!! Swooping corners with THREE!!! lanes. The incline may have been a bit too much to thrash the Ibiza up but still great driving nonetheless. Once up the road stays smooth and sweeping. More power does not add to more fun as you simply cánnot go all that fast. The A333 meets up with the highway about 7 km north of where I am btw. From that point there are several, half a dozen!, jaw dropping drivers´routes down to the coast. That said, the toll road is a work of road building art well worth travelling for thát. Looks like you're having a great time with the car. Adding lightness is what you need too, especially with mountains to go up and more importantly, down. Incidentally the fastest thing I've every followed up a mountain was an original Panda 4x4. The old Panda 4x4 still is a véry wanted car over here. In fact increasingly so. Prices have crept up but not much nor will they as there are quite a few about and there are not thát many in the know; general knowledge is that old Pandas are for cheapskates. When my Malageña gf. needed to replace her car, there was NO WAY I could convince her to go for the original Panda. He only ´argument´ was that it was not .... hér. 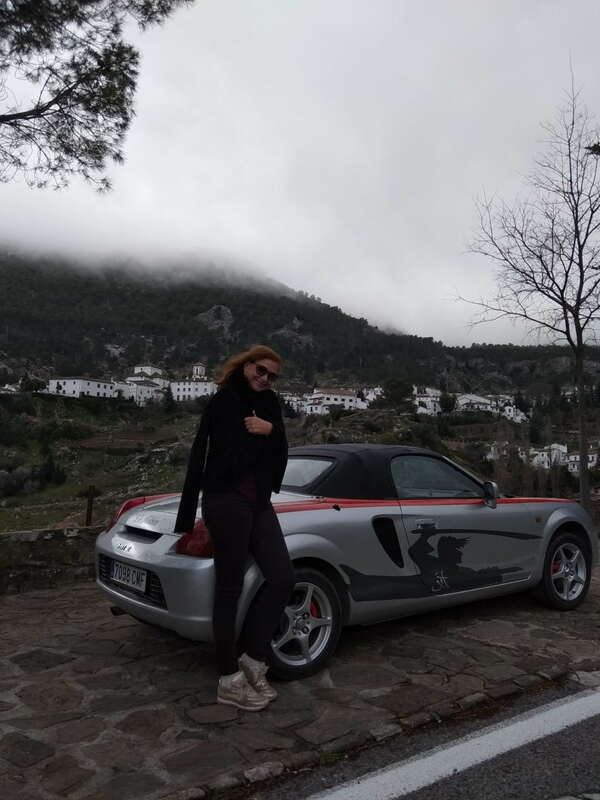 So I helped her find a Peugeot 307 CC. Still on the case of the rear muffler and the wheels. Nothong much else to be done unless I can score a used lightweight bonnet/rear deck cheap. I am a bit surprised that there are no swap out lightweight two piece non floating brake rotors availeble, at least not that I can find. The calipers are good enough on road tarmac, fixed ones would be overkill and nót an improvement. Great cars and rising steeply in price now. 5 years ago a good one was £1,500. Now they’re up to £5k. The front plate sits right in front of the cooling air entry. The effective grill opening is 780 x 100 mm. The Euro spec plate covers over 50%. Over here in Spain there is a reduced size plate for special cases. p.e. when it cannot be mounted in the middle as in the case of Alfas. This is explained in an instruction to police and inspection stations. This letter also mentions that the list of exceptions is not closed and that restriction of cooling capacity is a valid reason for excepton. The problem is that it does not mention where you can obtain the exception. I have drawn up the request, added calculations and refer to the document. Now, the where to most likely send it to. Found a request form on the central DGT (DoT) site. Also the department which should deal with it according to the organogram. Forwarded the info to the gf who has the necessary digital certificate ánd knowledge to submit the request. Doing my home work for the MR2: looking at the best compromises both in 15 and in 16", I am reading manufacturers blurp. advertoruials and owners opinions. I am surprised by the appearent lack of a fundamental piece of information; the lower operation temperature limit. 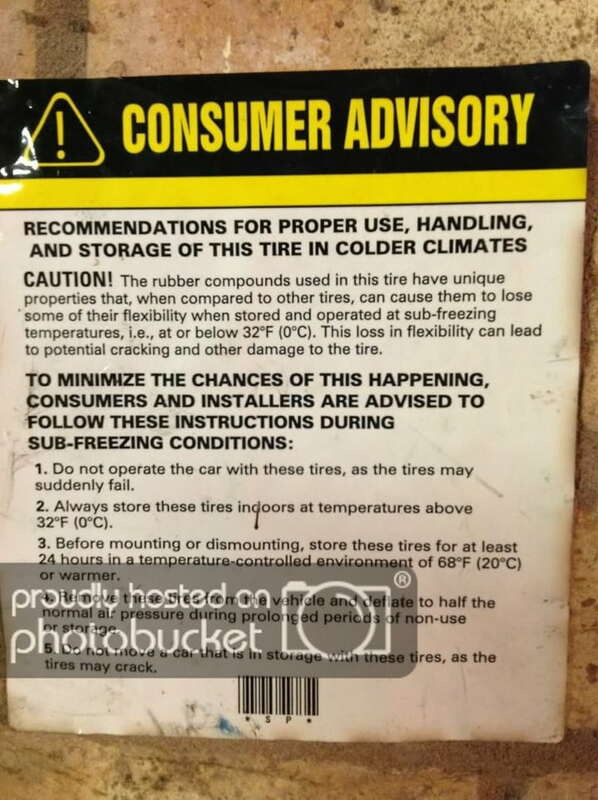 Manufacturers are ambiguous and owners report wildly different experiences under ´colder´ conditions without mention of how cold or any other measured data. Having raced for decades, I started racing in ´the old days´ when performance rubber only júst started to appear. When Michelin made the first motorcyle racing rubbers available for basically just anyone (on special order) that was a sensation. 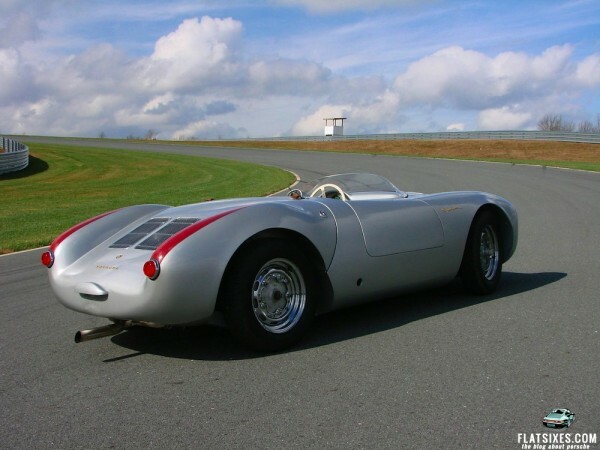 It was very quickly learned though that the racing compound only worked when on temperature and below that was wórse than the off the rack touring variant. That was about half a century ago and this has not changed. Yes compounds have evolved a lót but the principle of the temperature ranges applies the same now as then: Grip varies almost binairy between too cold and within working range. Living in the andalucian mountains, the tarmac can easily be -10 tot +50 Celsius on the same day. This makes me very aware of the early learned, the hárd and painful way, lesson. Hence why on most of the cars I fit ´m&s´ rubber all year round. This gives working rubber on cold mornings and with just a whiff more air does not get overheated in summer. The max. limits of the traction are ok for the use. For the MR... well, that one gets thrashed harder so a bit more max grip would be véry appreciated. Even when going for two sets of wheels, the issue remains. For sporting rubbers, especially the street legal track ones, the warning múst be heeded. They are nót designed to work under cold conditions. Now, some may have a lower limit of 10 degrees, other 0 and some even lower. The much celebrated AD08(R) is rated to work at relatively low temps. Surprisingly difficult as it seems, do try to FIND OUT THE LOWER TEMP LIMIT!! Pricey but according to real world feed back more effective than a front strut brace which costs the same. Worth a thought. First the strut brace though. The generic model fits the MR2 and several other Toyota models. The GT86 has a different part number. 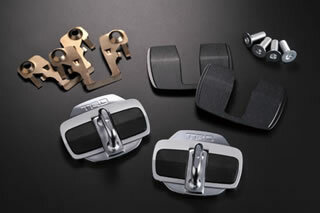 Similar latches are apparently availeble for the S2K and the MX5. 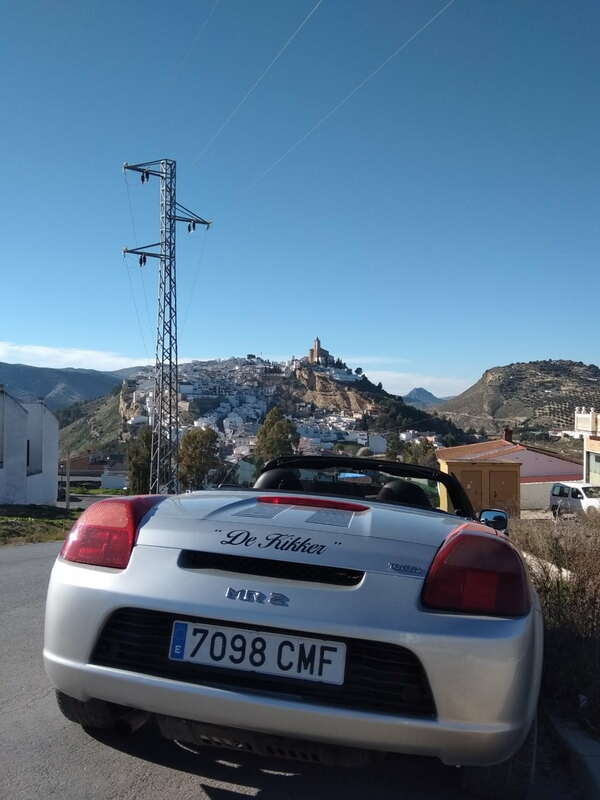 On the number plate; the central department of the DoT in Madrid has accepted my request and forwarded it to the Malaga office for evaluation. Last edited by Huertecilla; 16th January 2019 at 00:07.
and power x gear ratio + width = útterly useless over here. Neither I nor the UK vendor realised that we drive on the right side on the continent. No way the cubby lid will open with the brace fitted so that I took off. In all the brace will add less wieght than I took off removing the vanity panel and lid. Did not get it painted before I had to go down to the coast; surprise the Malageña for her birthday. For a lóng time she wanted to visist Grazalema so..... ROAD TRIP!!! Grazalema sit high and not dry is a unique local climate. It gets the most rain of Spain! Ofcourse it was a cloudy day, low clouds and wet roads. I felt só lucky again to live in driver´s heaven. 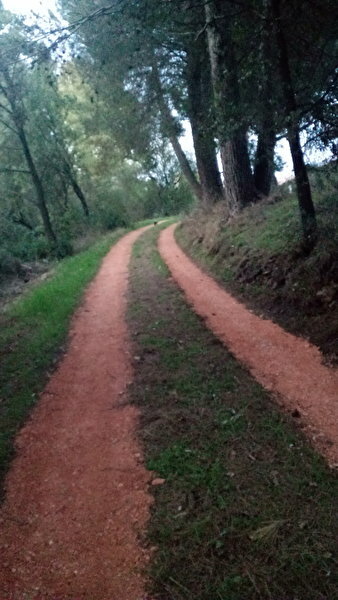 The ´comarcales´; the secondairy roads, are simply paradise. Well not for a modern Porscháh or Fewwawi that is. Those are road blocks and the drivers paranoid going round corners. We counted 6 proper Porscháhs (discounting the Cayenne and Panamera) and two Fewwawis. The latter were parked outside the official place but looked uncomfortably out of place on the two patches of flat tarmac on the otherwise broken up lot. 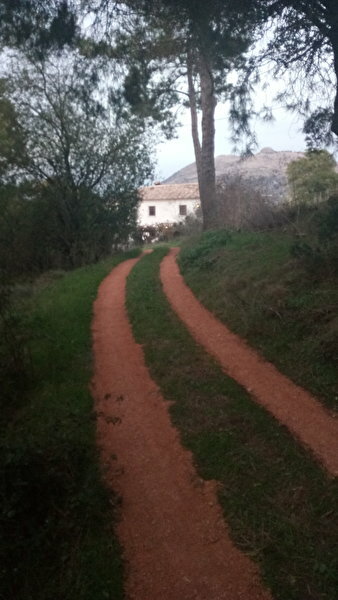 Anyway, GREAT tip through the Serranita de Ronda, Sierra de Nieves and another national park further southwest. Saw a lot of wildlife, even a Genet leisurely crossing the road. From almost Gibrlatar back to Málaga over the N340. The ´car´ did only one step wrong on a véry undulated broken patch of wet tarmac mid corner in the clouds. 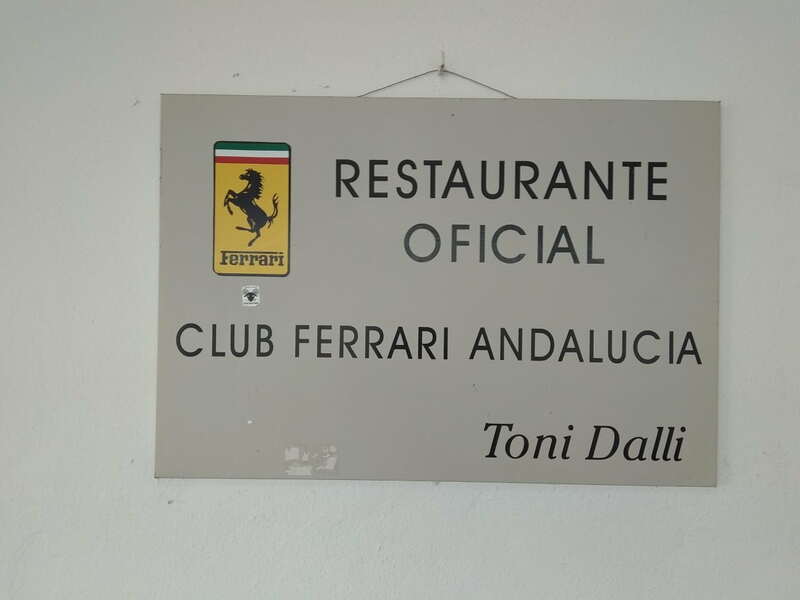 Near Ronda we saw a plaque on the wall of a venta so just hád to stop and have a laugh..
and some printed spacers/bushings to make the doors into braces, restoring some of the rigidity lost by not having a roof.